I've posted about our custom made Max coffee table before but today we took delivery of this little Max side table which I had made for placement between 2 single beds in a client's guest bedroom. I couldn't resist sharing this little beauty with you all. If only that little table could talk - it made me giggle even without uttering a word! smile. Anna, you know what? I'd love if you could post the price of items if possible. It would be interesting to know. What a fantastic color! Hope we get to see the rest of the room..
Love that bold pop of colour! I am going to use these as bedside table sin a hotel project I am working on right now...maybe. shape + color are just perfect! Yum! I love the pop of color and the shape! Great find. fantastic color! so vibrant and it brings out the cute shape. 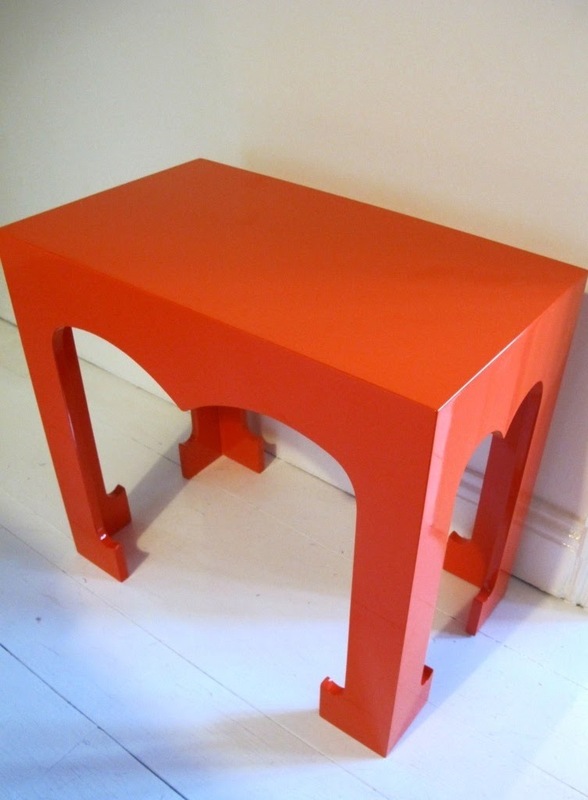 ooh precious little red table so it is! I know exactly where I would put this in my house. Actually know about 4 places where I could put this. LOVE the color and the style.